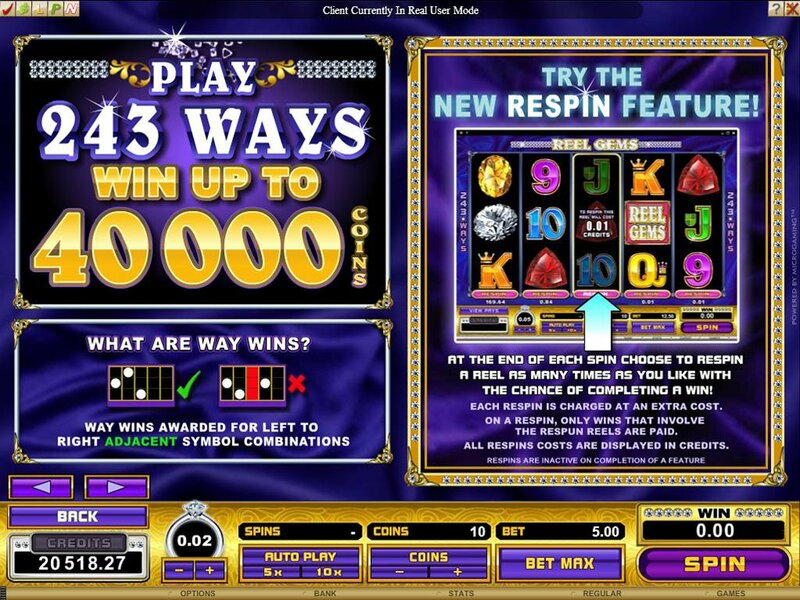 Overview: The new 5 reel - '243 ways to win' range of video slots in ALL SLOTS Casino's launches this week with the exciting promise and colourful sparkle of REEL GEMS. 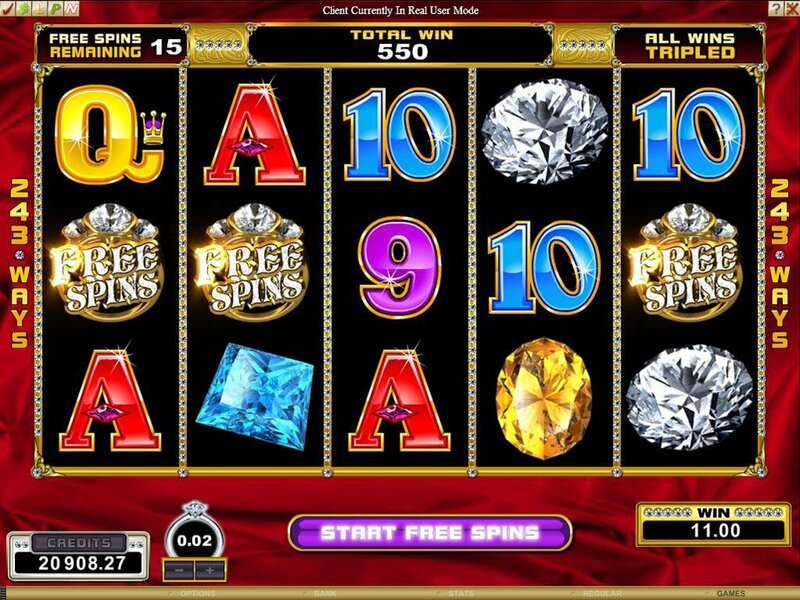 This game offers a wider range of win opportunities through a mix of Wild, Scatter, Multiplier and retriggering Free Spins, all wrapped around the luxurious theme of precious gems, depicted in all their stunning glory by vibrant graphics. Glittering diamonds offer the best paybacks in the game, but there are brilliant rubies, emeralds, sapphires and opals too, all with potential rewards as attractive as their sparkling appearance. 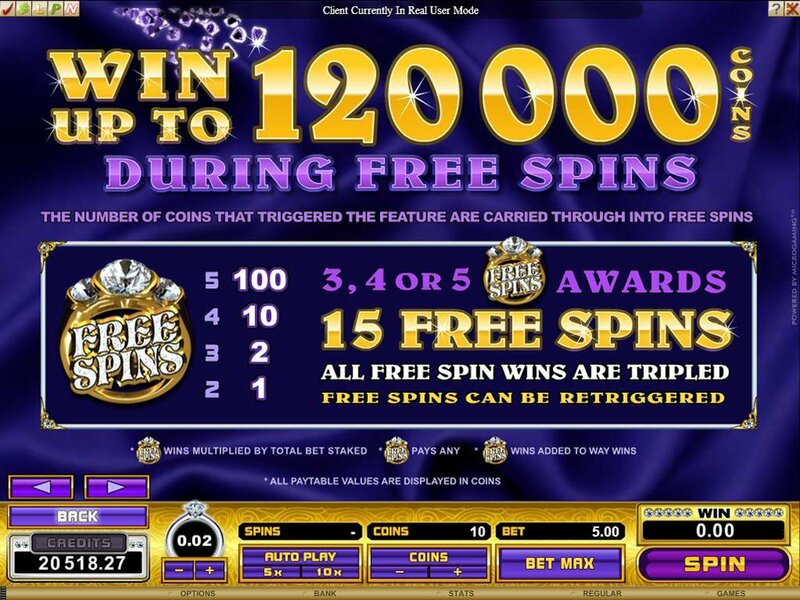 Look for the Free Spins diamond ring across the reels; 3, 4 or 5 will activate 15 retriggering Free Spins in which all wins are tripled, with wins of up to 120 000 coins on this feature alone. 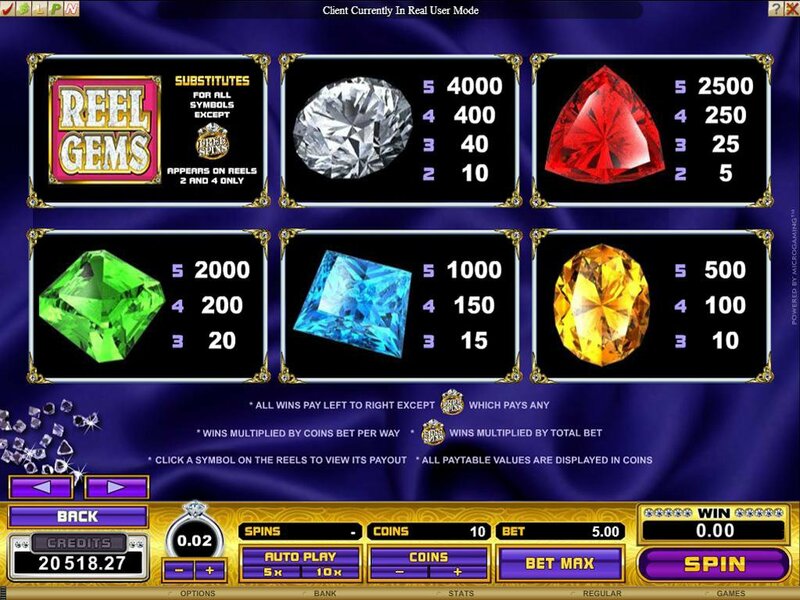 Then there are possibilities in building rewards through combinations using the glistening Reel Gem logo as a substitute for other symbols - that can deliver up to 40 000 coins to the fortunate player. 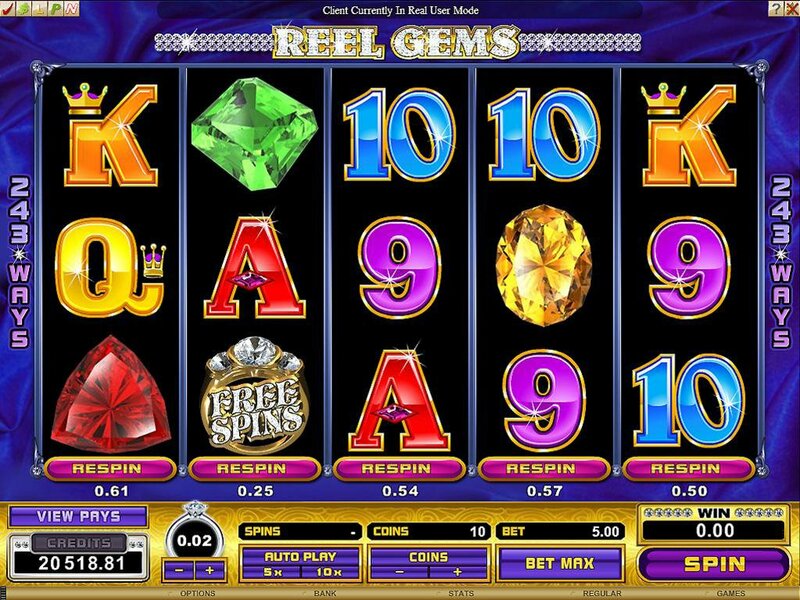 In Reel Gems, we also introduce for the first time an innovative 'respin' feature, in which the player can take an additional bet at the end of a spin to respin individual reels of choice with the goal of improving winnings. 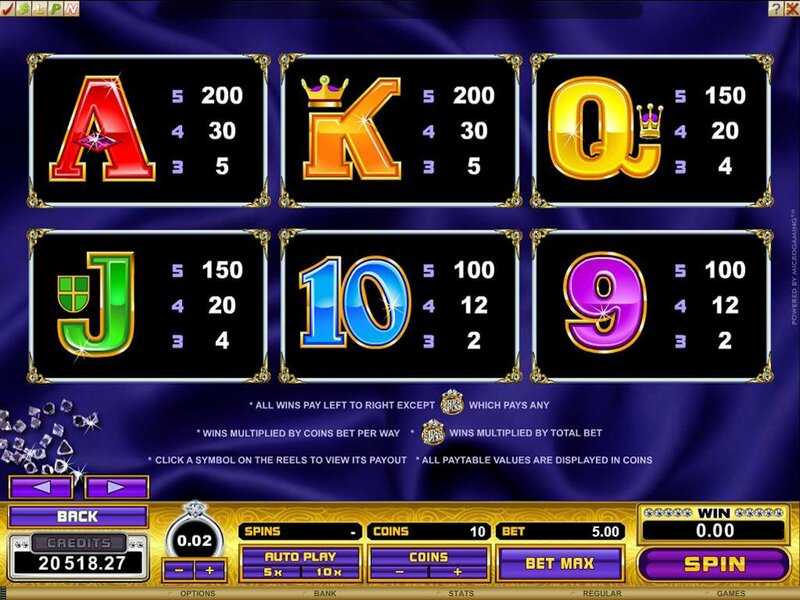 Similar Slots: If you like Reel Gems, you might like these other 5-reel slot machines: Big Kahuna, Dragons Loot, Fortune Finder, Lucky Shot, Stunt Pilot, The Grand Circus.